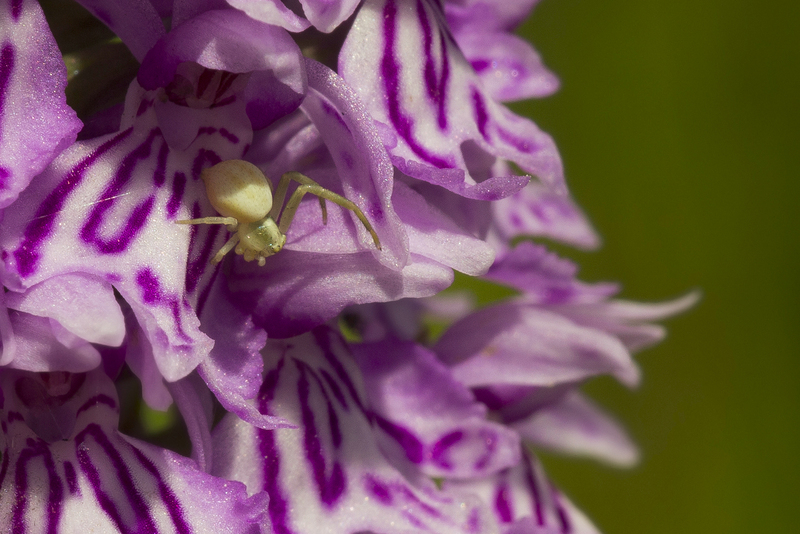 Crab spiders are able to change their body colour to match their background. It can take a few days, but they can appear white, yellow or green. This one was found on a Common Spotted Orchid in Gloucestershire, whilst visiting a site for a record emergence of Marsh Fritillary.